We know how you love stripes, especially for the summer, so you are going to love this one! A fabulous print of alternating stripes in blocks so the collar appears different colours from different angles! 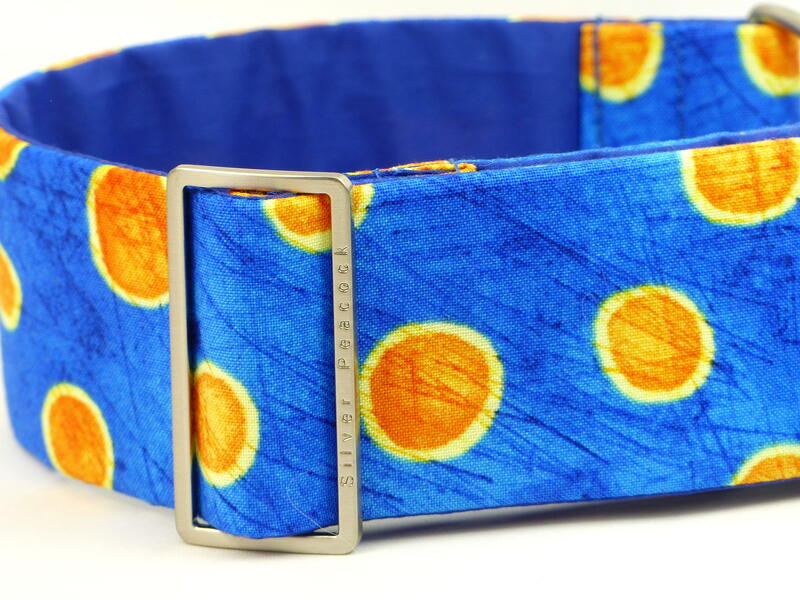 Shades of sky, mid and royal blue and lime, grass and moss greens all feature on this collar. The collars are lined in complementary royal blue fabric and are finished with our signature robust silver coloured hardware. The martingale version has a royal blue webbing section.